For your own chance to win a $100 Walgreens gift card from BlogHer, enter in the comments below! Contest is open to U.S. only and is open June 6 to June 30. MAIN ENTRY: Tell me what health and wellness products you have purchased or would purchase at Walgreens. You can visit the site for ideas. 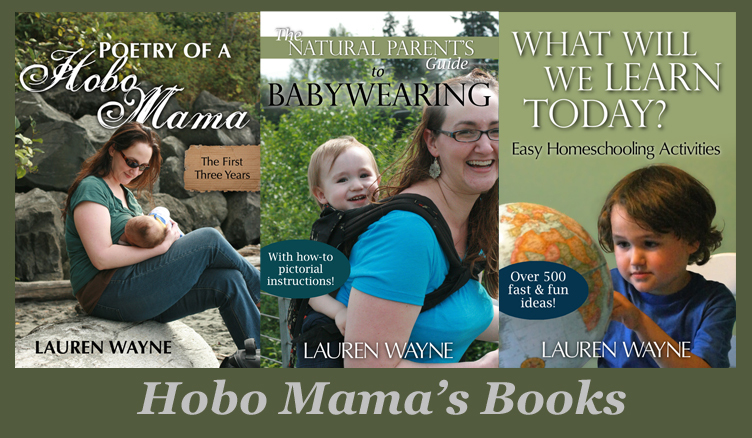 You can go to the Prizes & Promotions Round-up Page to enter contests from other bloggers! The giveaway window is June 6-June 30. Contest opens June 6 and closes June 30 at 11:59 p.m. PT. I've used the ibuprofen and allergy remedies, and your post gave me some great ideas for new products to try! I have purchased many store brand health products including, band aids soap, over the counter medications. I'd purchase ibuprofen at Walgreens. We currently use their version of Tylenol, and so far I love it! I am **ALL** about the Walgreens Diapers! Thanks for hosting! 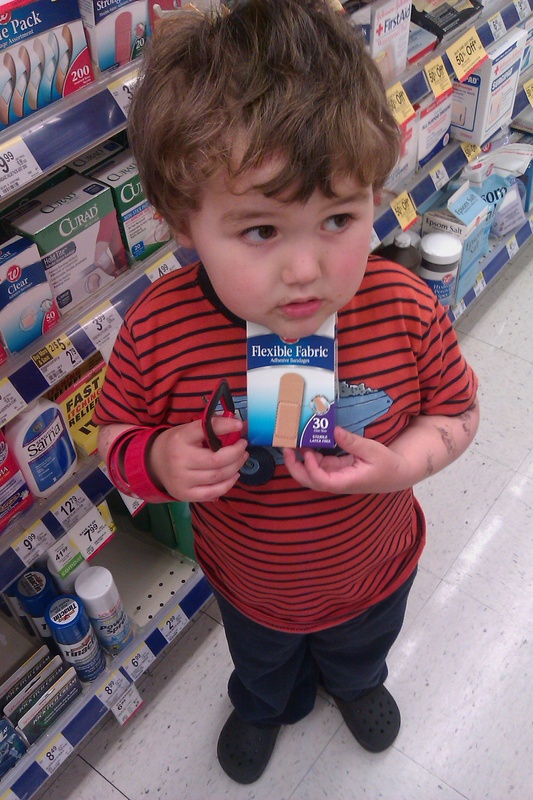 We have purchases their bandaids before and were very happy with them. They weren't any worse than a name brand and help up just as well. I love Walgreens and I totally agree that the Walgreens brand is comparable to brand names. I usually buy my over the counter medicines there because the Walgreens brand is so much cheaper and works just as well. I have used the Walgreens brand bandaids and love them. 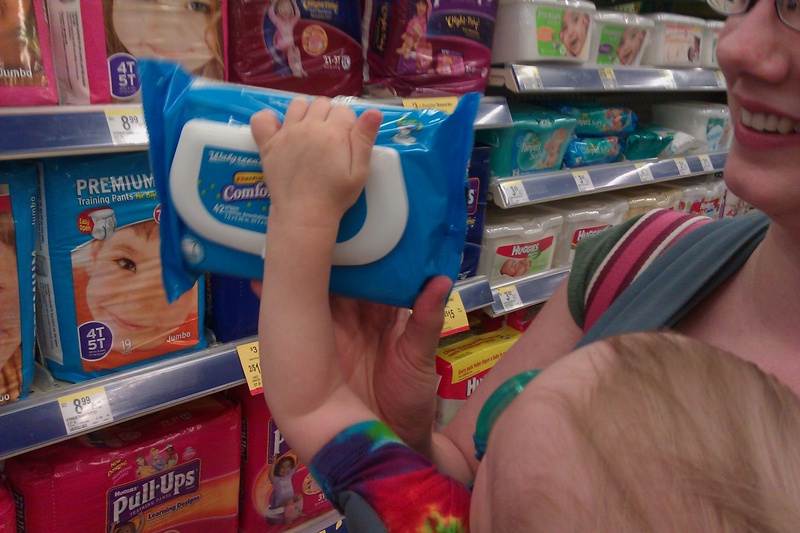 I would love to try the Walgreens brand diapers! i get a lot of stuff at walgreens. typically i stock up on the largest bottles of aleve since i go through 4 pills a day. I'd buy any number of Walgreens products. I love store brands too. here is mt tweet for this giveaway! We just got a Walgreens in my town last month, and I have already bought their store-brand prenatal vitamins. 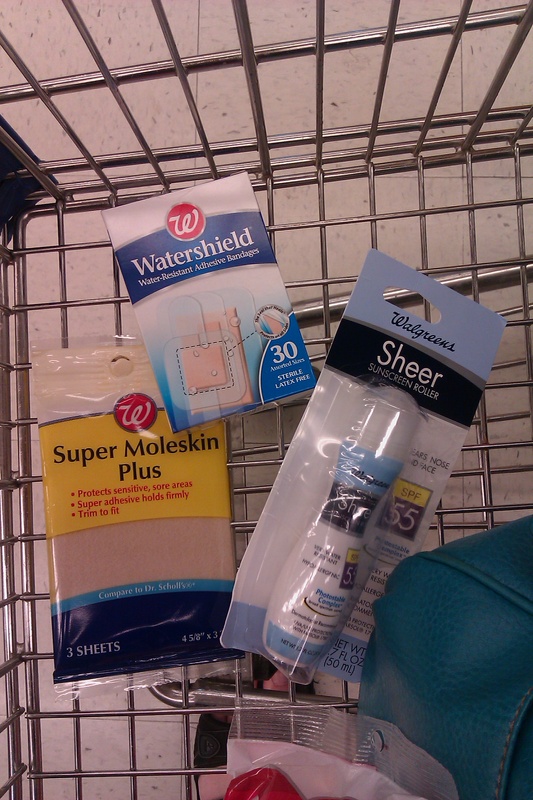 Not only do I get my monthly prescription from Walgreens, but I've used their bandaids, ibuprofin, anti-itch creams, and, yes, even recently had occasion to need their athlete's foot cream (yuck!) --all work great! I get my prescriptions from walgreens and I also buy tylenol and pain relief pills there. I would buy sunscreen...I'm really pale and, living in Georgia, need to wear it all over constantly May through October. I have four kids who love band-aids! So that is what I would get! I've bought W brand eyedrops, sunscreen, and ibuprofen recently! This was fun to read, Lauren. Thanks for including Daniel and me! I'm glad I convinced you not to review the laxatives, though that would have been REALLY funny. I suppose since I'm commenting already, I should answer the mandatory question: I have bought flushable baby wipes from Walgreens (See? They're in the photo!) and I think I bought some Burts Bees lip balm that day, too. I'm still keeping those baby wipes in the diaper bag (and using them right now while we're on vacation) and they're very handy and also reasonably priced. There's my little plug for Walgreens products! I have yet to purchase any Health and Wellness items from Walgreens (our nearest is a couple towns over), but I hope I get a chance to do so! I would get sunscreen, pain reliever and antiacid tablets. 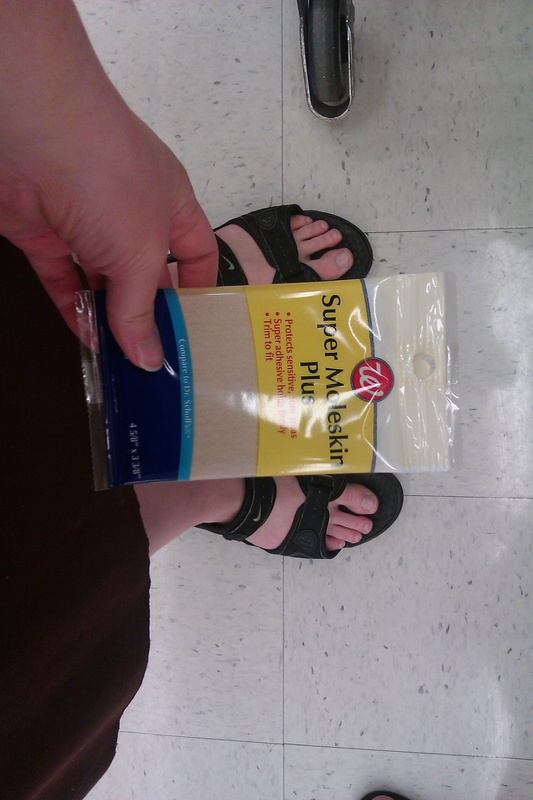 I buy my bandages, heating pads, recordable dvds, and travel sizes at Walgreen's. Anything I can get for less than at Kaiser I get at Walgreen's, including some prescriptions. i like buying walgreens brand vitamins, especially when they're on buy-one-get-one-free sale! they're a great value and just as good as any namebrand! I buy store brands quite often to save money! I find that in most cases the products are just as good if not better than the national brands! We could really use some new items to stock our medecine cabinet, so we would probably put this towards ibuprofin, first aid items, baby pain reliever, and cold meds. Thanks so much for the chance to win! we always use Walgreens brand Cold and Cough meds. We even got our netti pot there. We mostly buy the Wellness brand items. I've purchased asperin, cortizone cream, cough meds and bandages, to name a few. I get vitamins and supplements there as well as my low dose aspirin. I also buy makeup there. I have used their band-aids as well successfully. Lots of bandaids, and anything else to stock my first aid kit! I would buy Walgreens ibuprofen. I have not purchased any yet but I could really use some sunscreen and some pain reliever. I would get some sunscreen and Sea Bands for an upcoming vacation and also some vitamins. I would get Wal-dryl for my stubborn allergies...also good for preventing carsickness on long drives. We have purchased several, we have a walgreens bout 4 miles form the house so when we need a quick something I head on out. We purchase mostly Ibuprofen. I have purchased their ibuprofen and acetaminophen, as well as their throat spray and bandages. Reliever 81 mg Adult Low Strength. I would love to get some vitamins! I would like to try the mint mouth wash from walgreens. I just ran out of calcium and Vitamin D supplements and I see Walgreens has a Buy 1 Get 1 sale going on. Great timing! Thanks! I have used their cold medicines, pain killers, and multivitamins. I've bought ibuprofen and bandages at Walgreens. I buy the low dose asprin and allergy medicine.I love the Walgreens brand. I've OTC drugs from Walgreens! I shop at walgreen's all the time - I buy all kinds of things there aspirin, toothbrush, even treats for the kids. love walgreens. i get fiber and sunscreen for two things. I like Walgreens brand, their pain reliever and baby wipes/diapers are as good as name brand ones. I'd get sunscreen and body lotion. I use the Walgreens ibuprofen. I have purchased cold medicine for my son at Walgreens. I love Walgreens and it just happens to be the closest store to where I live so I shop there frequently. I always buy store brand pain killers and first aid products. I've used several of the Walgreen's brand products especially meds like ibuprofen. I'm not a real brand name person and Walgreen's brand is terrific. We love buying Walgreen's brand medication. We have a cabinet full (lol!). I like the Walgreen's cold/flu relief, muli-symptom nightime and daytime medication. I like their own brand of pain relievers. I would make sure I had medicine for my whole family and maybe some new multivitamins! I would buy aspirins,tooth paste and other things related to health because of their amazing prices. Headache medicine, bandaids and bodywash are just a few I usually buy there. I love Walgreens that sometimes I will go to just browse and waste time! 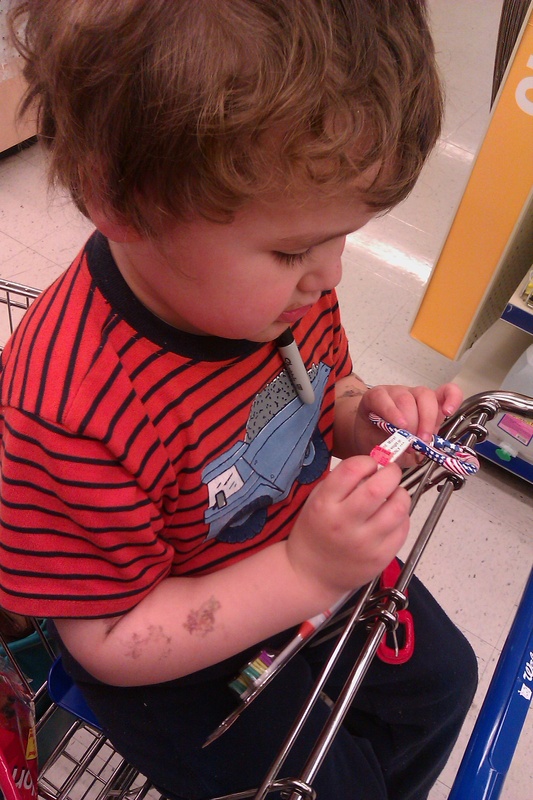 I would purchase Walgreens Flexible Fabric Adhesive Bandages! I just bought some moleskin for my husband for the first time. I had no idea that Walgreens had that as a store brand and will get that type next time! I love Walgreen's brand items, especially their medications! I love Walgreens and use tons of their brand of products. I use the pain medicine for my three kiddos and the adult medicine for me and I have no complaints what so ever. I use their brand of wipes myself and their training pants. We go through quite a bit of bandaids here and I buy the Walgreens brand for my two bigger kiddos since my 4 year old loves character ones. Thank you for the entry. I like the Ibuprofen - works great! I buy many of my diabetic supplies there. I rely on Walgreens brands for a number of things... especially when it comes to vitamin and mineral supplements. I can only use certain formulas of iron, and tend to run anemic, so the Walgreens Ferrous Gluconate is vital to my health. I also buy their spray sunblock, allergy meds, and various other Walgreens brand products regularly. I don't just fill my prescriptions there! We buy allergy medicine at Walgreen's every few weeks to keep my husband breathing! i would totally get some cold/cough medicine, and lots of sunscreen! I use walgreens allergy meds. They work just as good as the name brand and are about $3 cheaper! we have used their cough and cold medicine before and it worked very well. thanks! I buy Walgreen's brand of denture cleaner. It's half the price of the name brand and works just as well or better. I've tried their Ibuprofen and it works great. I've purchased Walgreen's brand of notebook paper and it keeps me in the writing mode. I love their store brand vitamins. Aww such cute photos! I like Walgreens vitamins, ibuprofen and benadryl! 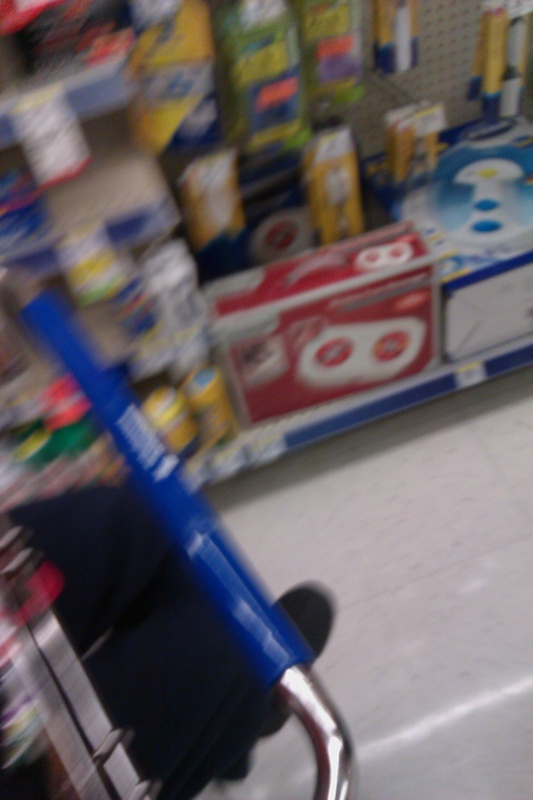 I love Walgreen products and they always work. 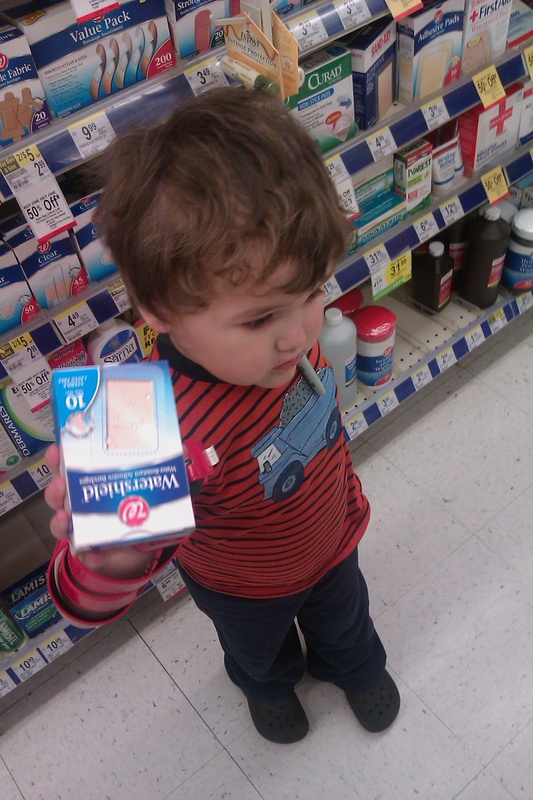 we use the Walgreen Brand Infant Ibuprofen Drops! I want to try Wal-Dryl. 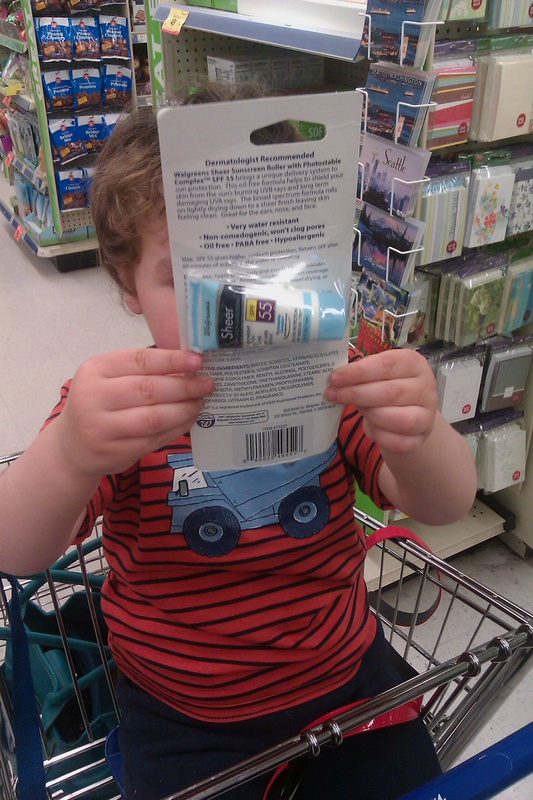 My son loves the Cavity Protection Fluoride Gel Toothpaste from Walgreens. It is their brand, but has the great bubble gum flavor and has Scooby-Doo on it. I love it when Walgreens has a sale. I stock up on ibuprofen, lotion, hair and skin products.....well, just about everything!! I have found that their products are just as good as the name brands. I would stock up on bandaids and ointment. My kids are always getting booboos. i would def. get bandaids. i'm always needing those! If I win, I will purchase my daughter a natural sunscreen to protect her from the sun's strong rays. I always get store brand pain medications like acetaminophen (AKA Tylenol) -- it's much cheaper and the same medication. I shop at Walgreens every week. Thanks for the giveaway! Love store brands! They work just as well as the pricer name brands. I've used Walgreens-brand aspirin, and it worked like a charm. Thanks! I love pretty much everything at Wags! I buy the allergy medications and the vitamins. I buy Hair dye, toothpaste, shampoo...pretty much all the health and beauty aids we need! I get sunblock and chapstick from Walgreens. Baby ibuprofen. Dang two-year-old molars! I'm definitely with you on the sunscreen! And, I'd probably get vitamins and supplements. I fill my prescriptions there and defiantly use their own brand products! The main ones I get there are their generic pain relievers and allergy meds. Diapers, diaper and more diapers. Ok, and maybe one new color of nail polish for me. I buy most anything at Walgreens: generic Tylenol, allergy meds, nursing pads, sunscreen- you name it! It's much less stressful than walking through a huge store like Walmart. I check their sales often and find great deals, too. When my husband almost cut off three fingers with a table saw, we stocked up on Walgreen's bandages and wrappings after his surgery. I get most of my sunscreen at Walgreens! They have a great selection. I would buy Walgreens multivitamins, ibuprofen, first aid items, and medicated lip care. I recently purchased the small travel sized toothbrush and toothpaste combo that Walgreen's has. It was half the price of the leading brand and was exactly what I was looking for! With a new baby, I just discovered the Walgreens Baby SPF 60+ Pure & Gentle Sunscreen Stick. It's great! I have used the store brand of zyrtec and have been very impressed with it. Their store brand face scrub is also very nice. I love our Walgreens! The staff are friendly and the store is clean. If I won the gift card, I'd stock up on diapers for my 1yr old, and probably some fun hair stuff for myself. I need to stuck up on some bandaids and sunscreen. 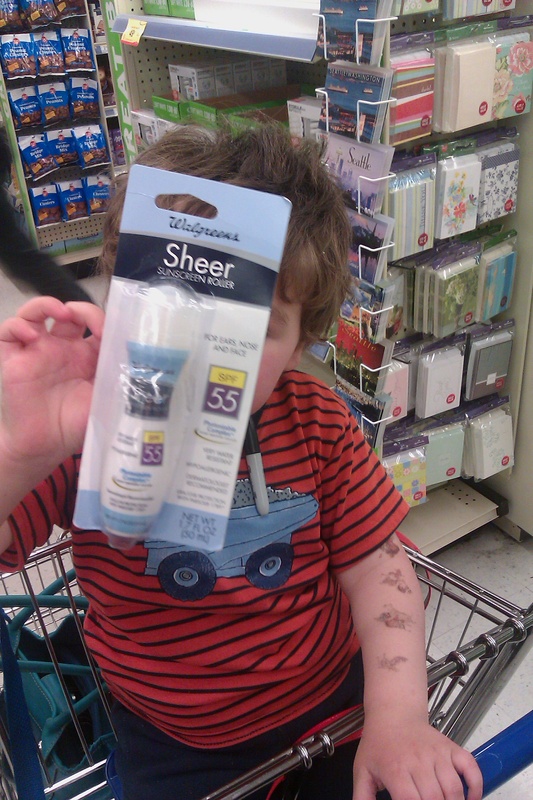 We ALWAYS have the Walgreens brand Pain Reliever in our house and I just recently purchased some sunscreen for my son! I use the Walgreens Sinus Congestion and Pain meds. I purchase almost all my beauty and hygiene products from Walgreens, they rock. We have gotten lots of prescription and suntan lotion and calamine lotion! I would purchase some multi-vitamins for the family.